LEXINGTON, Ky. (Feb. 26, 2018) — Historically speaking, smell is the Rodney Dangerfield of the human senses. A series of scientific mischaracterizations rooted in (of all things) the religious politics of 19th century France and perpetuated by scientists like Sigmund Freud led to widespread acceptance that humans were underachievers in the smelling category. "We all have heard the hypothetical question, 'Would you rather lose your eyesight or your sense of smell?'" said John McGann, an associate professor at Rutgers University. "Most people would rather be able to see than smell, of course, but smells evoke strong emotional and behavioral reactions and are often associated with distinct memories. 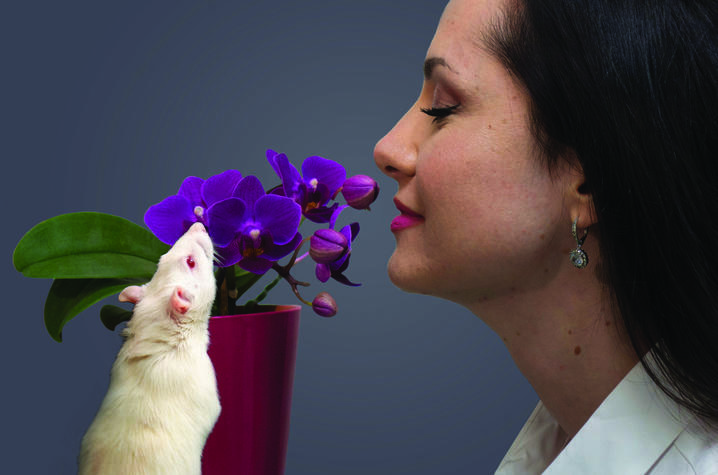 The social role of smell is greater than we give it credit for, and olfactory impairment can have a disastrous effect on emotional well-being and diet. It's important that medical practice begin to take that into account." "Both mice and humans are capable of smelling almost anything volatile enough to get into the nose and more than a couple atoms in size," McGann said. "In fact, we have odor receptors that are so broadly tuned that we can detect smells that scientists haven't yet invented." McGann joins luminaries from the worlds of science, nutrition and culinary arts at the International Society of Neurogastronomy Symposium this weekend, where they will share their data and experience on the psychological influences on eating and behavior, the chemosensory properties of food and how we experience them, the role of food as medicine, and the history and evolution of flavor and flavor perception. For more information about the symposium and how to register, click here.